It was a gray afternoon in late April 1997, my brother Travis and I were on I-77 North, heading to our Opa’s funeral. I was a few weeks away from graduating lawschool and a few years into an apologetics struggle that had led me to believe the Bible was true and Jesus Christ was the Son of God. With that head knowledge, that made me a Christian. Or, so I thought. My brother had since been saved. During the midst of his quoting Romans 6:23, my eyes opened for the first time. I saw that my salvation was entirely by, for and about Jesus Christ. It was all about him and what he had done. It had nothing to do with me. God’s glory is ultimate, supreme and eternal. That glory manifested itself in what Christ has done. It is only and entirely by his grace that we are saved, indeed, that we even exist. At that moment, God showed himself to me and saved me from my sins. My life has never been the same. That was the birth of the new me. Over the years, that knowledge and experience about the glory of God has deepened as I’ve come to know Christ more and rely upon him more instead of himself. Let the Old Testament Record Speak! And He is the holy of Holies – for in Him God the Father communes with His people and His people commune with heaven. In Esther, He is behind the scenes, outwitting the Evil One; faithfully protecting His unfaithful people, whispering into the ear of a young queen that for such a time as this, she has been crowned. And in Malachi, Jesus Christ is the Divine Refiner, sitting over the smelting pot of His universe, purifying his chosen people as silver and gold; the One who does not change; the One who will one day rise with healing in His wings! Let the record of the Old Testament speak! But that isn’t all . . . we’re just getting started. Never mind about lunch. Let the record of the New Testament speak! 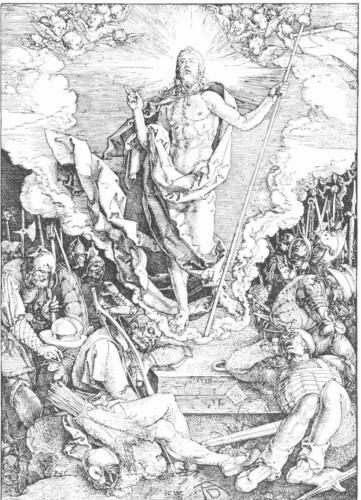 And in Revelation, He is the risen Lamb and the regal Lion; He is the inspiration behind the music sung by hundreds of millions of angels – joined in by all the redeemed from all time who glorify Him as King of Kings and Lord of Lords – the only one worthy of all blessing and honor and glory and power forever and ever, Amen. So be it . . . let the record speak! True through the ages; inspected by every generation – its promises fulfilled on time and promises yet to be fulfilled will also come to pass on time. And John writes, “Whoever believes this record which points to Jesus, is given life – eternal life.” And this life is in and through and over and by, upheld, contained, delivered, surrounded and sustained by our eternal Creator, our living Lord. Believe this record, John writes, and you will live in heaven forever.